In today’s consumer world, it seems there is a drug to treat every condition. Some of these drugs have side effects that could be considered worse than the original condition they propose to treat. It’s no wonder, then, that so many people are seeking natural remedies for their ailments when possible. Luckily, stress and anxiety are a couple of ailments for which natural remedies seem to be quite effective for. Radiance Day Spa in Sioux Falls proudly offers a few of these services, so if you’re looking for stress and anxiety relief that’s not in pill form, give us a call today! In our previous article, we discussed the benefits of regular massage therapy. One benefit of massage therapy is that it can release oxytocin and serotonin into your bloodstream, increasing the amount of these chemicals that are already present in your body. This can lead to a perceived feeling of less stress. Additionally, when we are anxious, we have a tendency to tense our muscles involuntarily. When muscles are tense, blood flow to the muscle tissue is reduced and slowed. Regular massage can create a domino-effect of benefits beginning with restored blood flow to tense muscles, lowered blood pressure, a slower heart rate and improved breathing. All of these benefits combined can promote better relaxation and deeper sleep, allowing your body the necessary recovery it needs from stress and anxiety. If you’re curious, check out the various massage services provided at Radiance Day Spa! Combining aromatherapy with your regular massage therapy can potentially be very beneficial for reducing stress and anxiety levels. 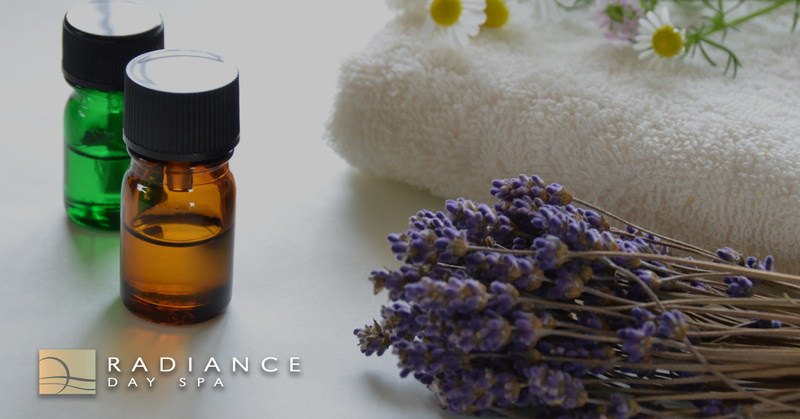 If you’re interested in adding on an aromatherapy oil blend to any of the massage services offered at Radiance Day Spa, simply inquire with your massage therapist! This specific type of therapy is achieved by suspending your body in warm mineral water, producing a feeling of anti-gravity and anti-stress that can help you achieve the deepest levels of relaxation. Studies have shown a drop in blood pressure and stress-related hormones for test subjects both during and after flotation sessions. These results combine together to provide a soothing calmness and an all-natural healing environment for the body. If you’d like to learn more about our flotation therapy services, give us a call! We’d love to speak with you! If you’ve been curious about or are actively seeking out natural remedies for stress and anxiety, regular massage therapy, aromatherapy, and/or flotation therapy may prove to be beneficial for you. At Radiance Day Spa, our team of therapists are ready to work with you to create an individualized treatment plan designed to melt away your stress and anxiety. Give us a call today to discover the many services we offer!